​Miguel is a community-based educator and youth worker. He holds an A.A. from the City College of San Francisco and a B.A. in Political Science from UCLA. 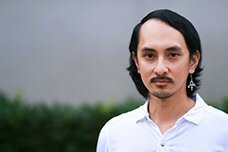 As a whole, Miguel’s research is focused with how racially othered young people learn about who they can and should become in relation to dominant social mobility paradigms and narratives within the contemporary United States. He interrogates this line of inquiry through the analytical and methodological lenses of Black studies, critical social thought, ethnography and participatory action research. Miguel's past professional and community involvement include College Track, Educators for Fair Consideration (E4FC)) and Brothers on the Rise.